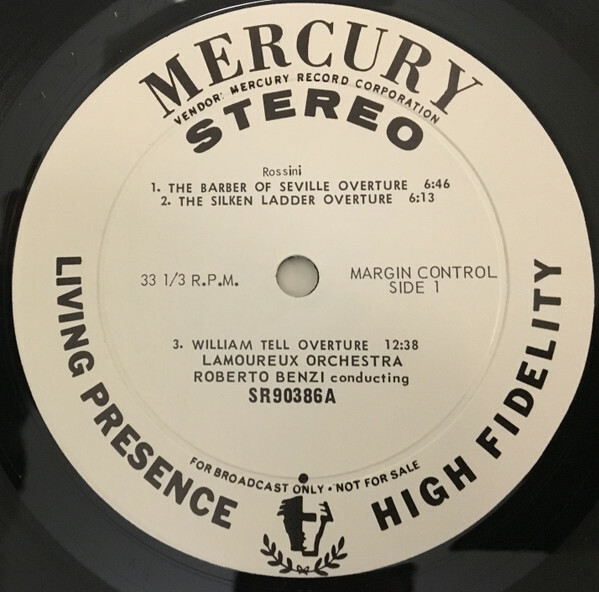 Mercury "Living Presence · High Fidelity" (SR/AMS) series LP label reference. 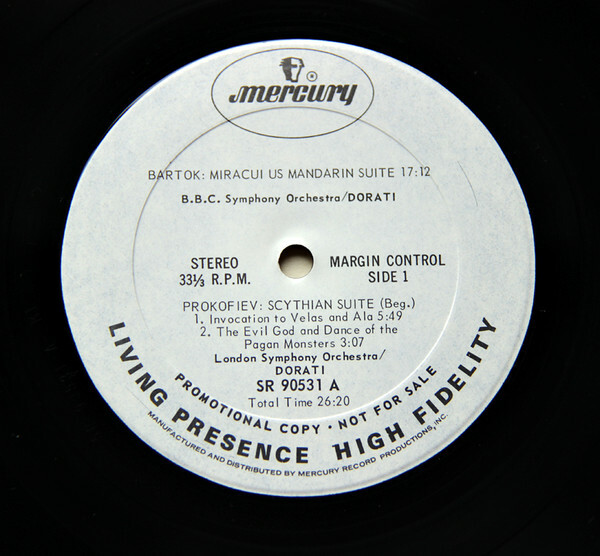 Original Mercury "Living Presence High Fidelty" releases. Features "Mercury Record Corporation" and "Product of Mercury Record Productions, Inc." beneath "Living Presence High Fidelty" text on labels. 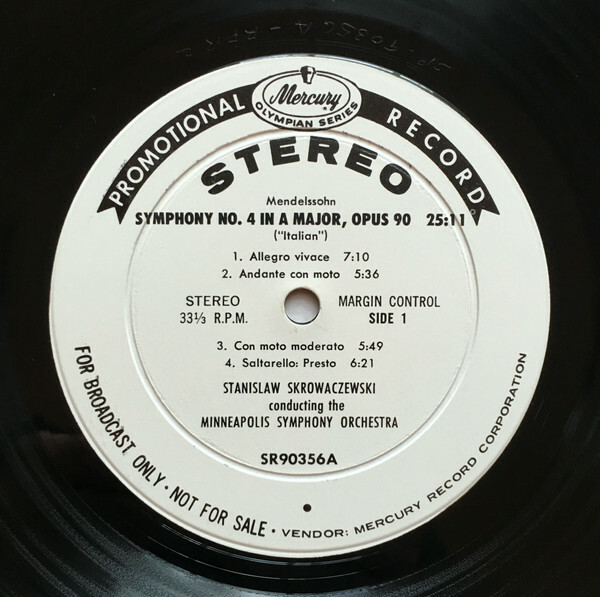 Features "Vendor: Mercury Record Corporation" beneath "Mercury" text and above "Stero" text on labels. Features "Promotional Copy · Not for Sale" above "Living Presence High Fidelty" text on labels. 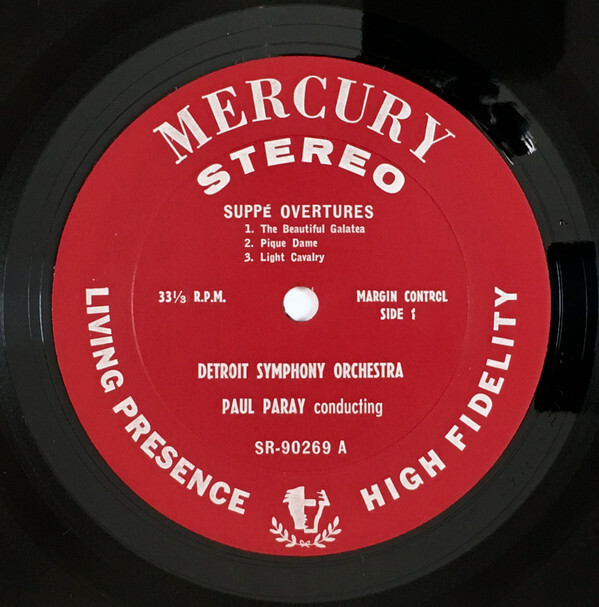 Features "Vendor: Mercury Record Corporation" beneath "Mercury" text and above "Stero" text on labels. Also features "Promotional Copy · Not for Sale" above "Living Presence High Fidelty" text on labels. 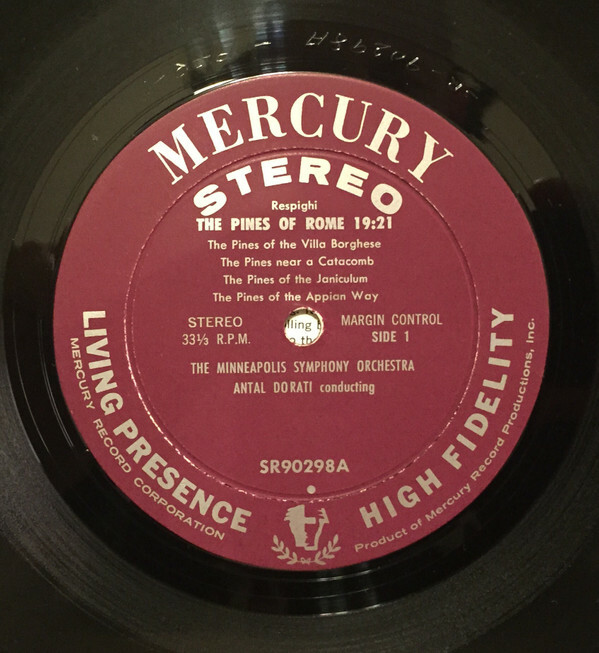 Features "Vendor: Mercury Record Corporation" beneath "Mercury" text and above "Stero" text on labels. Also features "For Broadcast Only · Not for Sale" above "Living Presence High Fidelty" text on labels. Features "Living Presence High Fidelty" text on labels. 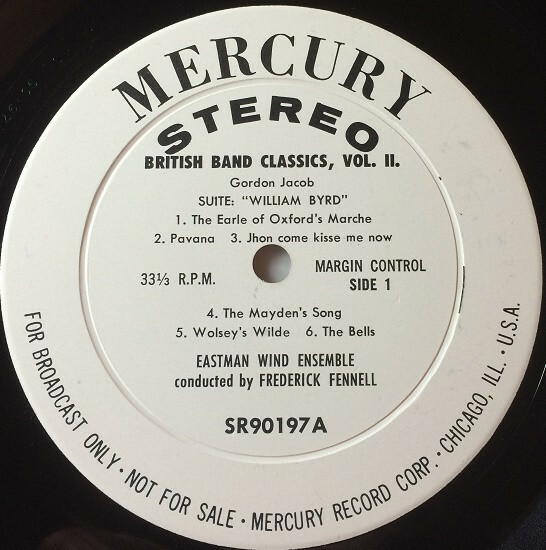 Features "For Broadcast Only · Not for Sale · Mercury Record Corp. · Chicago, ILL. · U.S.A." along label bottom instead of "Living Presence High Fidelity". 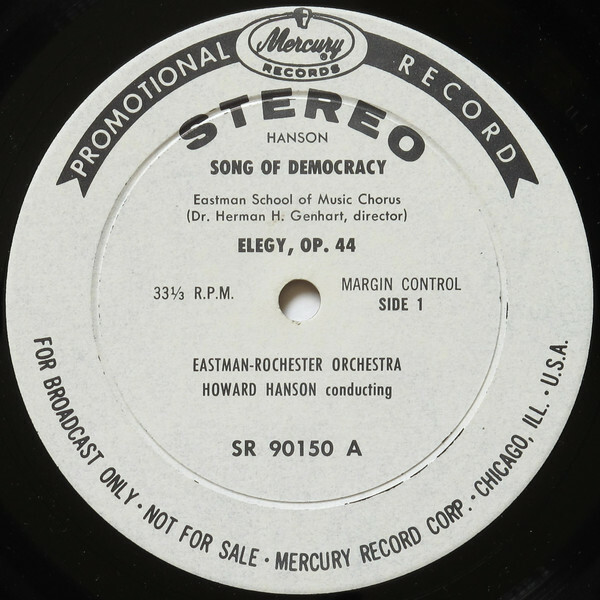 Features "Pomotional Record" along label top, "For Broadcast Only · Not for Sale", "Mercury Record Corporation" and "Product of Mercury Record Productions Inc." along label bottom. 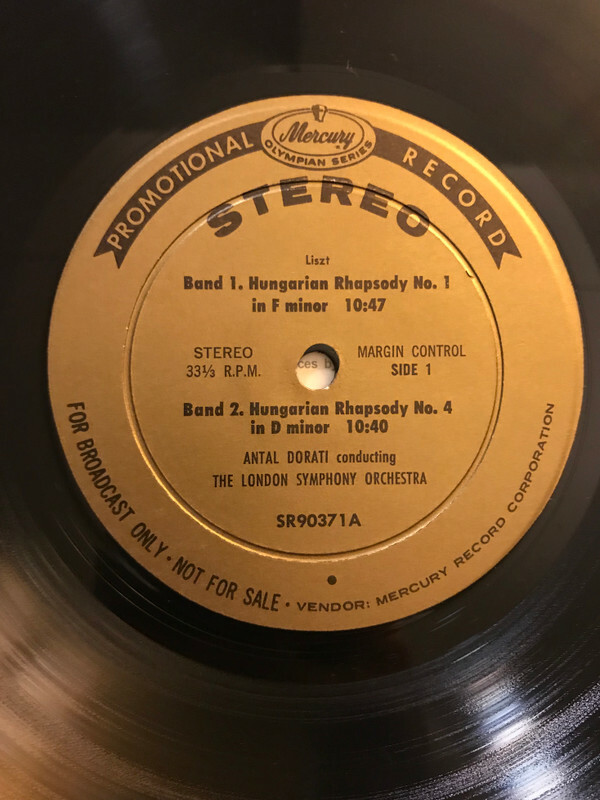 Features "Pomotional Record" along label top, "For Broadcast Only · Not for Sale" and "Vendor: Mercury Record Corporation" along label bottom. 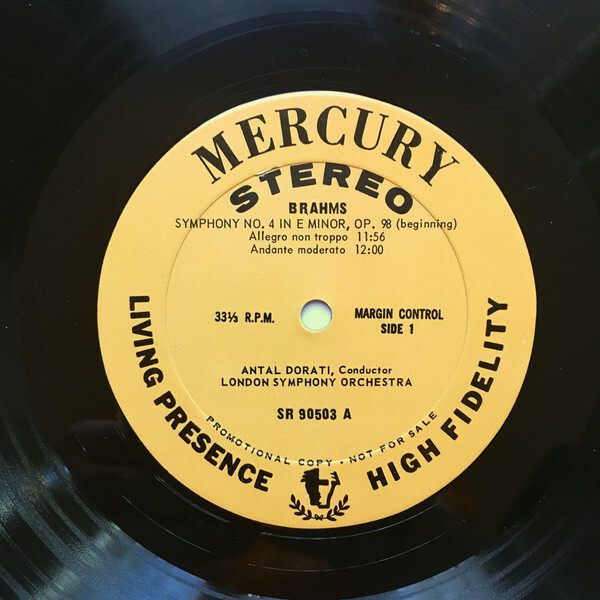 Features "Pomotional Record" along label top, "For Broadcast Only · Not for Sale · Mercury Record Corpo. · Chicago, Ill. · U.S.A." along label bottom. 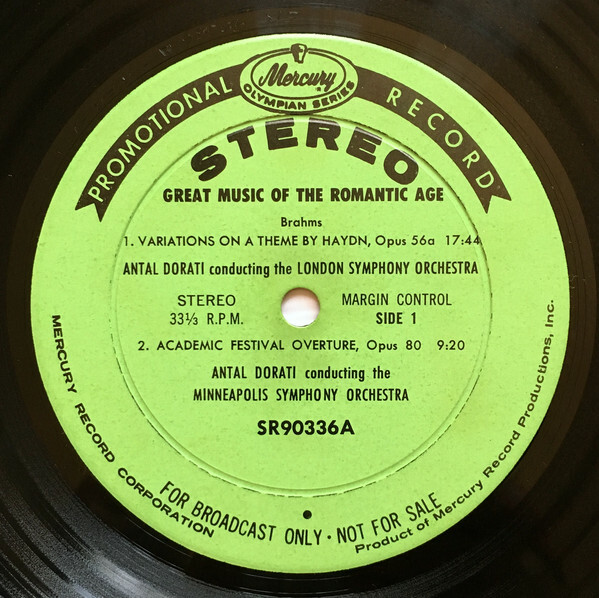 Features "Pomotional Record" along label top, "For Broadcast Only · Not for Sale · Vendor: Mercury Record Corporation" along label bottom. Features Mercury logo in circle at label top. 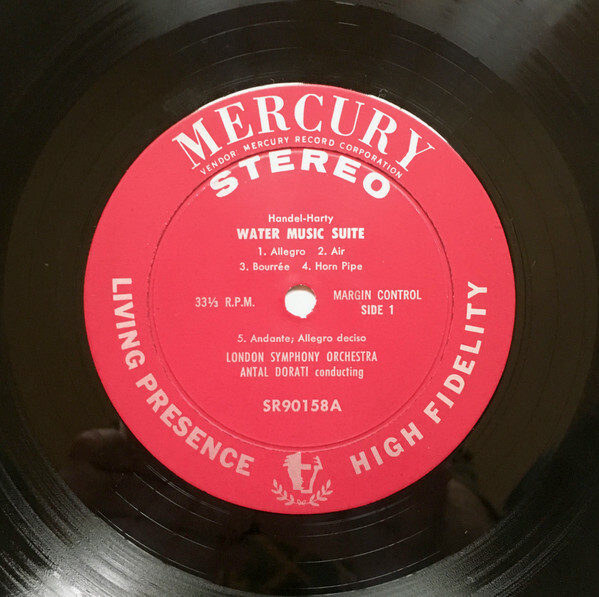 Features Mercury logo in circle at label top, and "Manufactured and Distributed By Mercury Record Productions, Inc." along label bottom. 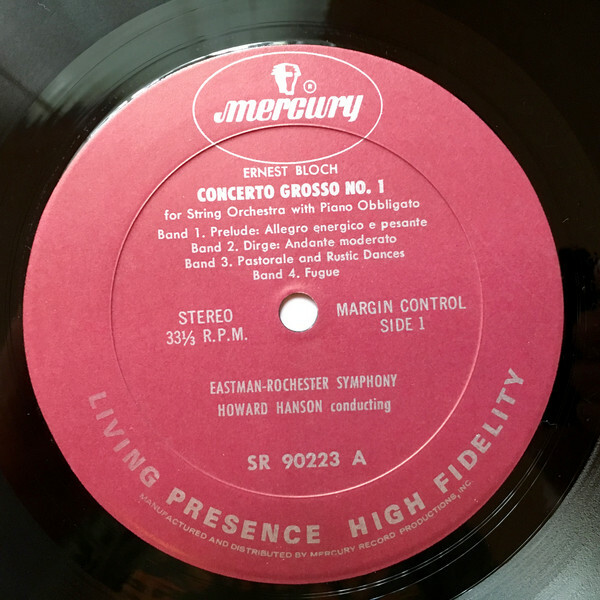 Features Mercury logo in circle at label top, "Promotion Copy · Not for Sale", and "Manufactured and Distributed By Mercury Record Productions, Inc." along label bottom. 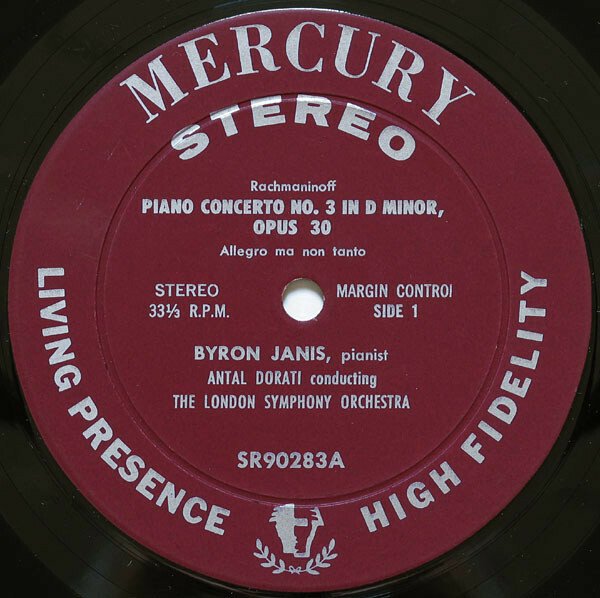 Features Mercury logo in circle at label top, and "Promotion Copy · Not for Sale" above "Living Presence high Fidelity" along label bottom. Features "Olympian" head logo in ribbon and "Mercury" text along label top, "For Broadcast Only · Not for Sale" and "Vendor: Mercury Record Corporation" along label bottom. Features Mercury logo in circle in a repeated pattern around outside label edge. Features Mercury Olypmian Seris logo at label top, with "Made in Germany" text at label bottom. States "Manufactured by Quality Records, Ltd. Canada" along label bottom. Features "Long Playing High Fidelty" text along label bottom. States "Sale Distrubutors Gramophone Record CO.LTD." along label bottom. States "Made By E.M.I. Record LTD in Gr Britain" along label top. "Magie Du Son" text on labels.